Is your networking environment predominantly Cisco-centric? 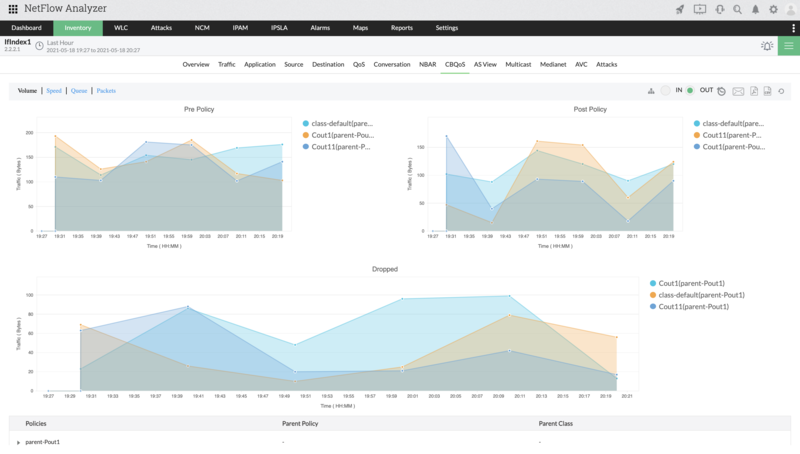 NetFlow Analyzer offers extensive support for monitoring Cisco-based environments such as routers, switches, WLCs and Firewall in performing network traffic monitoring & security analytics. IT administrators throughout the world have grown to realize the importance of monitoring IT networks in real-time. With the ever-growing dependency of various departments of an organization on the IT network, monitoring Cisco routers & switches constantly ensure that any possible network incident could be prevented. 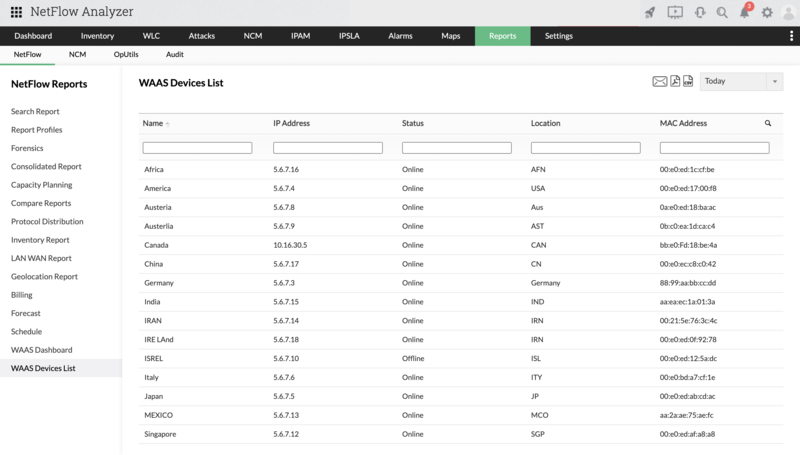 Monitoring Cisco devices (routers and switches) based on real-time flow data can give you extremely valuable insights about specific kinds of traffic/applications on the network that consume bandwidth. 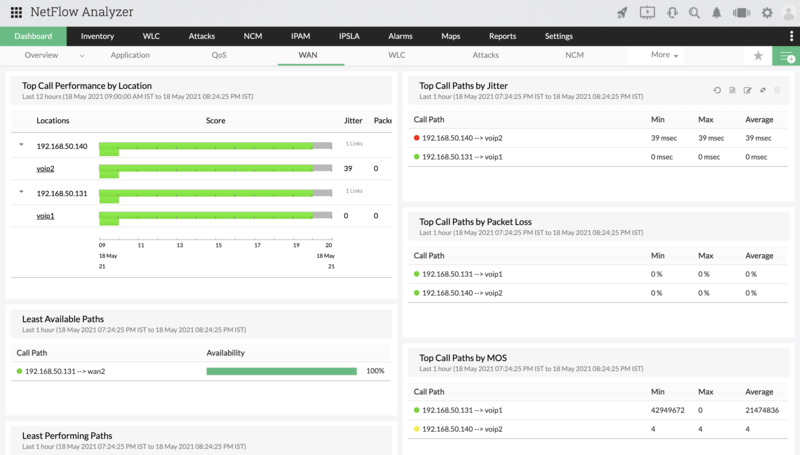 It also helps in monitoring different critical aspects of the network such as SLAs, QoS, VoIP etc. 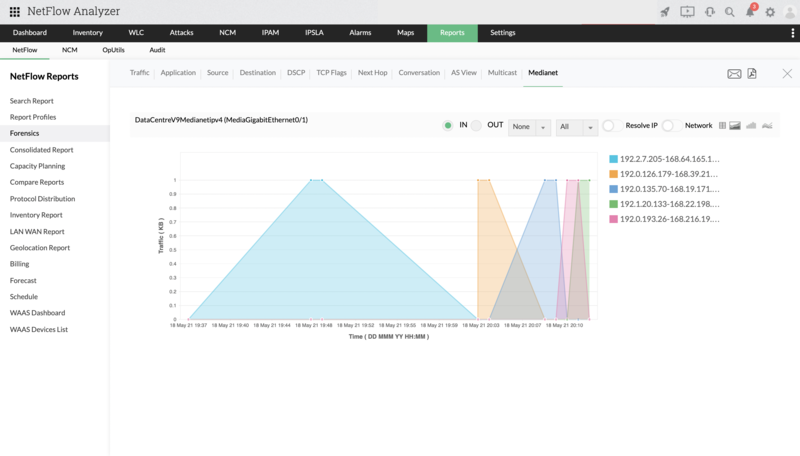 NetFlow Analyzer monitors Cisco routers & switches that are flow-enabled and reports various parameters that are critical to the constant availability and optimum performance of your network. Once the Cisco device starts exporting flows (NetFlow/IPFIX), NetFlow Analyzer mines a wealth of information from these exports about the network traffic in detail and reports extensively on top conversations, protocols, applications and talkers on the network. NetFlow Analyzer is a NetFlow, sFlow, JFLow (and more) collector and analyzing engine integrated together. NetFlow analyzer is a software (for windows and linux) which can be downloaded, used in your network environment (does not require any hardware probes) and be evaluated for 30 days. Go through the following useful links for better understanding of how NetFlow Analyzer can help you in understanding your network traffic and bandwidth utilization. 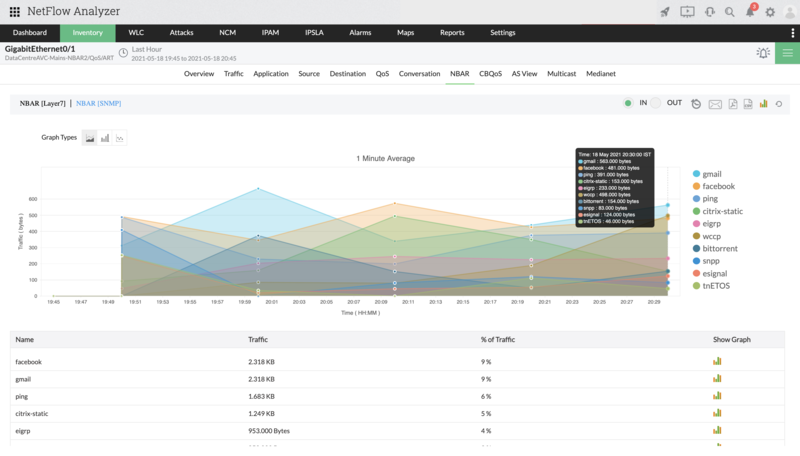 NetFlow Analyzer is an affordable solution for bandwidth monitoring. 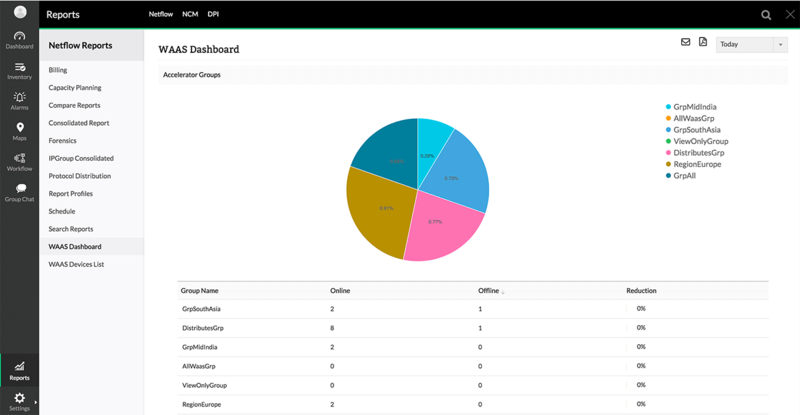 We have been using NetFlow Analyzer to manage our branch and central office bandwidth requirements effectively. 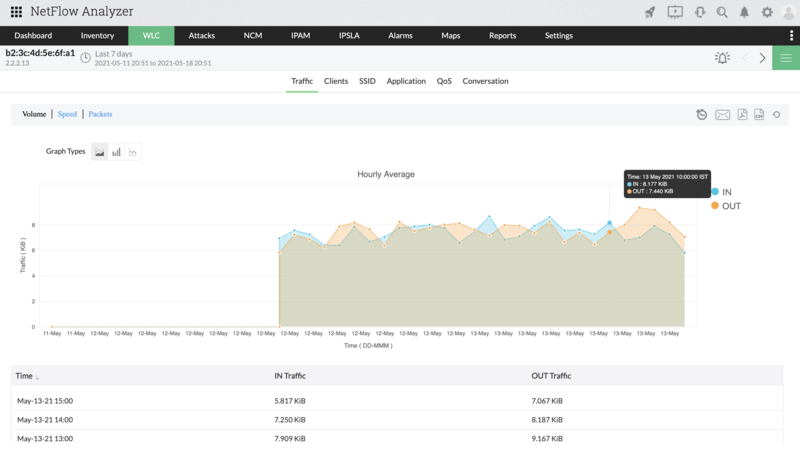 It was able to correlate the vast NetFlow data exported from our Cisco Routers and provide us rich reports that showed us the exact bandwidth utilization based on the type of traffic on the network. 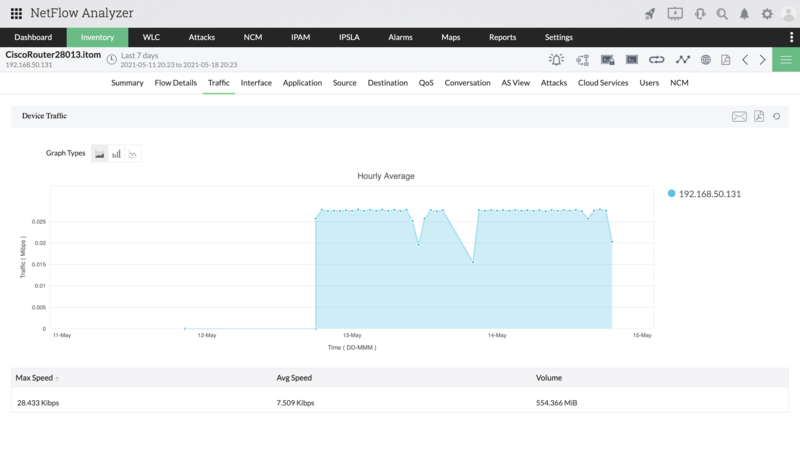 NetFlow Analyzer is an ideal choice for enterprise IT who need to detect network bottlenecks and provide a superior network connectivity experience to their end-users.